Richard’s special guest on this podcast episode is Miranda Macpherson. She is a spiritual teacher and founder of OneSpirit Interfaith Foundation in London, where she has trained and ordained over 600 ministers. She is the author of Boundless Love: Transforming Your Life with Grace and Inspiration, and will be discussing her latest book, The Way of Grace: The Transforming Power of Ego Relaxation. Her recording Meditations on Boundless Love is available as an audio book and on CD. Miranda is one of Richard’s favorite non-duality teachers, and her new book is highly recommend! Learn more on Miranda’s website, mirandamacpherson.com. Looking for a particular show? Click here for the Dying to Live podcast archives. 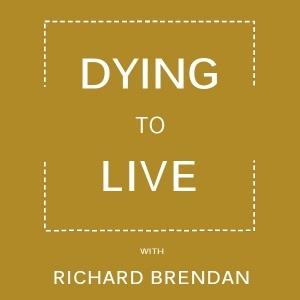 Subscribe to Richard Brendan’s Dying to Live podcast via iTunes, Google Play, Stitcher, or TuneIn. Never miss a Dying to Live episode. The Richard Brendan Show aired for more than 10 years in Central Indiana. Several shows are archived on this website. Click here to browse episodes and learn more!